I might point out that this curve has over 21 dB of overall EQ correction. If you can't hear that...I'm not sure that this technique will work for you at all. I listened to the loud passage (the part that sounds harsh) of the 1982 recording by Bernstein “as delivered” via the CD (i.e., as mastered by DG), and then with your EQ applied (i.e., your XML file imported in Audacity, Effect, Equalization). As expected, with your EQ applied, the treble is significantly attenuated, and IMO doesn’t sound good at all. Unless I’m missing something – and bearing in mind that I’m not a recording engineer - I think it’s more accurate to call this “attenuating the treble of a poor quality recording” – vs. “demastering”. To each their own. I prefer to buy a newer performance and better quality hi-res recording, vs. using Audacity to adjust EQ on an old recording that has poor audio quality. P.S. My hi-fi systems are tuned by ear, and sound great when fed a good quality recording. My benchmark is live classical music. I'm all for good recordings, but, with the exception of some SACDs of old recordings, like Living Stereo or Mercury 35 mm mag film, it seems that the new recordings on SACD tend often to have uninspired performances. Maybe it is just that they have only been recording SACDs for X years, and how often do we get a Beecham, a Boulez, or a Reiner? Maybe it is just that they have only been recording SACDs for X years, and how often do we get a Beecham, a Boulez, or a Reiner? But I believe that there has also been well over 55 years of people listening to recordings that have been changed from their as-recorded condition like the above example of Bernstein and the LA Philharmonic that enthusiast stereo listeners have accommodated to. Many or most of these stereo music recording listeners probably never really imprinted on the unaltered live music sound--as you and I have discussed over the years on this forum. That also needs to be taken into consideration as much as the performances themselves. The result of this ubiquitous mastering EQ practice is fairly predictable: "audiophiles" paying large of money in order to buy their elusive goal of greater reproduction realism, but not recognizing that they won't see or hear what's in front of them. This reminds one of the protagonist's dilemma in "The Sixth Sense". Historically, audiophiles as a group are largely in denial of the reality that recordings "as-is" cannot be improved upon, but rather chase the idea that "better that real" recordings are attainable (with badly amplified performance of music being excluded as a special case, or perhaps extremely poor performance hall acoustics--which are poor choices for chasing the goal of "hi-fi" to begin with). Like you Gary, as a trained musician I listen to poor recordings of great performances for details of interpretation that make those older recordings so well regarded today. But I also am continuously aware of the poor sound quality of those same recordings, including boosted highs, attenuated lows, and other mastering practices that are audible. This can be heard in the loss of sense of the "being there" aural recognition of the sound that performing musicians heard. In the above example from 1981, the recording engineers probably used some of the first 1-bit audio ADCs with significant audio aliasing during minute 6:30-7:15 of the reference track--this due to the extreme levels of acoustic energy captured in the 10+ kHz frequency band due to the massed strings playing at the extreme upper registers of their capability. The 21 dB of boosted high frequencies that were re-digitized during mixing or mastering after extreme mastering EQ was applied from an analog console (digital mastering gear was generally not available or affordable at that time), i.e., probably seriously overloaded the 21 kHz anti-aliasing filters upstream of the ADCs in the mastering studio re-digitizing equipment. Deutsche Grammophon mastering engineers made the ill-advised choice of their prior analog-only practice to boost the highs and attenuate lows, without first considering the downside of doing that from a signal processing standpoint. They also didn't use their ears to correct the problem after they did it, choosing to release it as-is. Those days of poorly performing ADCs and DACs are long gone--at least 25-30 years now. Nowadays, those devices that perform flawlessly are ubiquitously available and at much lower cost in real terms. But to not do some sort of exegesis of the recording technology is to completely miss the point: the Bernstein recordings have something to say in terms of conductor's interpretation (among which includes a 40% slower tempo than indicated on the score), and the recording itself is an example of the difficulties that the record companies had in adjusting from analog-only operations to digital ones. 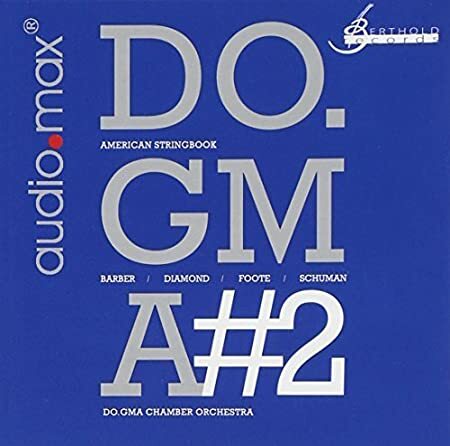 An eBay seller is offering a new multi-channel hybrid SACD of this “American Stringbook” by the do.gma chamber orchestra for $14.15 US, free shipping. With that said, certainly there are some performances that are difficult to match. 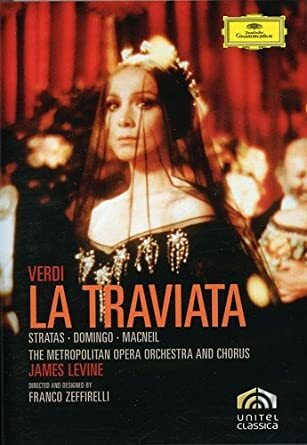 Here’s a 1982 Zeffirelli film adaptation of “La Traviata” that for me has not yet been bettered. This was recorded on 35mm film. I have a DVD. I hope that someday the 35mm film will be re-digitized and remastered as high definition video and hi-res audio (i.e., Blu-ray or Ultra HD Blu-ray). Hi Chris A - did you get The Who's "Who's Next?" to sound pretty good? Lol by definition that is impossible. I've fixed two of the tracks off that album that were on their "Who's Better, Who's Best" compilation CD as well. These turned out fairly well: Baba O'Riley and Won't Get Fooled Again. Most of their earlier stuff from before 1969 is pretty rough however, like most other rock of that period. Note that I don't currently own anything of theirs except the best-of compilation mentioned above and a DVD-A of Tommy...which I rarely play. Their earlier compilation album songs in general are just too rough in terms of SQ. I can't wait to get mine built! I've heard less than stellar comments about the dual driver version of the BMS 4592 compared to the bms 4592nd-mid (single driver). Do you have an idea what those folks were missing compared to what you are doing? I love the idea of the concentric driver and the Tannoy version in their Canterbury speakers are stellar for sure! They were probably using the available passive crossover from BMS that you can also buy. I don't recommend that. If you think that you're going to slap a passive on it and call it done without anything else, you'll probably be pretty disappointed. As I mentioned in another thread, the tweeter diaphragm needs another 0.2 ms delay than the midrange diaphragm and about 1 dB higher channel gain after flattening EQ is applied to the two channels. This one driver replaces both the midrange and tweeter that would otherwise be used in conventional 3-way horn-loaded designs. It has HF performance that exceeds 20 kHz and extremely low levels of modulation distortion--especially FM distortion which is the dominant form of distortion found in full-range drivers at higher frequencies. It's group delay/phase distortion is about as low as you can get when using the first order crossover filters. When used in bi-amping, the driver is spectacular both in measurement and in listening performance. They also didn't use their ears to correct the problem after they did it, choosing to release it as-is. And I always wonder why ... why didn't someone say, "We can't let this go out?" the recording itself is an example of the difficulties that the record companies had in adjusting from analog-only operations to digital ones. In about 1975, I took a couple of recording courses at SFSU. The professor (Paul Smith) was an old pro who had recorded orchestras and also Bing Crosby and associates, had been a friend of Les Paul and Mary Ford and worked on the set-up of Fantasound in San Francisco in 1940. In a third course, named "Discover Your Ears," he took us to practically every studio in or near San Francisco. At The Record Plant in Sausalito, we were told a new technology was coming, in which record grooves would be read by laser beams , therefore there would be no tracking problems. Paul acknowledged the promise of the proposed system, but predicted that it "would be a while" before it would become clearly superior. I touched base with him about 10 years later. He was not yet satisfied with digital, but said it took at least 50 years to get analog right, and learn to baby it, so we should all give digital a chance to develop.